The American Association of Law Libraries was founded in 1906 to promote and enhance the value of law libraries to the legal and public communities, to foster the profession of law librarianship, and to provide leadership in the field of legal information. With nearly 5,000 members, the Association represents law librarians and related professionals who are affiliated with a wide range of institutions: law firms; law schools; corporate legal departments; courts; and local, state, and federal government agencies. Collectively, law libraries form a knowledge network that supports the use of law in society. Ensuring access to the law and legal information is a primary mission of all law libraries and a common ground for libraries that are diverse in many other respects. The Association recognizes that continued access to legal information depends upon the preservation of legal information disseminated and published in all media and formats. AALL’s preservation goals include ensuring that legal information continues to be accessible, that legal publications and other sources of legal information are long lasting and durable, and that Association members receive training and support for preservation activities. The Association recognizes that it must play a role in supporting member libraries’ individual and collaborative preservation initiatives, and formulating policies and encouraging activities that will promote the preservation of legal materials. While acknowledging that preservation is a global problem, AALL has a responsibility to concentrate first and foremost on the preservation issues facing our member libraries. The most basic goal must be the preservation of as much as possible of the legal materials relevant to member libraries’ primary constituencies, which may include law faculties, law students, practitioners, judges, government agencies, and the public. Since preservation is not the sole concern of law libraries, it is necessary for the Association to work cooperatively with other associations and organizations involved in preservation efforts. The Association recognizes the need for communication with groups active in formulating national preservation policies and programs and the need for participation, cooperation, and communication in appropriate activities and programs that will further the Association’s goals. The Association actively supports the work of the Legal Information Preservation Alliance (LIPA) by making an annual contribution and by appointing a Representative to LIPA. The Association actively supports its Special Interest Sections, chapters, and member institutions in developing preservation guidelines and best practices. The preservation of print documents in their original format is crucial for continued access to legal information. The use of permanent paper is recognized as one of the most fundamental ways to preserve today’s print materials for future researchers. The Association will encourage publishers’ routine use of permanent paper to eliminate exorbitant costs associated with reformatting and mass deacidification. The Association supports the development and revision of national standards which impact the integrity of the materials in law libraries, specifically the latest editions of ANSI Standard Z.39.48-1992 (R2002), Permanence of Paper for Printed Library Materials, and ANSI PH1.43-1985, Photography (Film)-Processed Safety Film-Storage . The Association also supports the work of the subcommittees in Committee Z39.48 of the National Information Standards Organization (NISO) which are working on issues relevant to libraries . The Association encourages member libraries, when weeding print materials, to identify the number of copies available nationwide and to avoid discarding unique and scarce material . If a library is unable to retain such material in its own collection, these items should be transferred to other libraries. Given the role of law libraries in providing legal information, special attention should be paid when discarding primary law. Access to digital documents, whether born-digital or converted to digital format, must be maintained through digital preservation. While it is best to preserve items in their original format, sometimes the best preservation decision is to reformat an item so that the intellectual content remains available to users even if the original object does not. The Association supports the development of standards for digital preservation, including ISO 16363, Trusted Digital Repository (TDR) Checklist, ISO 14721, Open Archival Information System Reference Model, ISO 20653, and Producer Archive Interface Methodology Abstract Standard. The Association also promotes further investigation into metadata, software, operating systems, and information lifecycle management techniques that will impact the preservation of digital works. The Association supports the use of library-led and open access initiatives to preserve digital content. Cooperation with publishers and other information vendors is necessary for the development of uniform standards and strategies to ensure that information is not lost when a vendor is no longer maintaining it. Publishers and vendors have a responsibility to ensure that products sold to law libraries do not exacerbate the preservation problem. The Association will communicate its members’ needs for permanent, durable materials to publishers and vendors in order to increase the longevity of products offered to law libraries. In particular, the Association will communicate its members’ needs to producers of online databases since these products are frequently purchased as replacements for at-risk print publications. The Association will work with publishers and vendors of electronic resources to identify best practices for preservation of electronic content, taking into account issues that must be addressed for both content that is licensed by libraries and content that is purchased by libraries. AALL promotes additional research and development regarding the preservation of electronic resources and online databases. 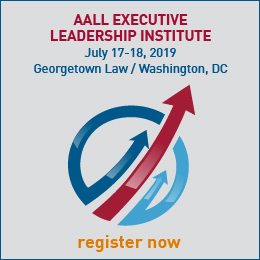 AALL recognizes that its national preservation policy must support the preservation efforts of individual law libraries and the cooperative preservation efforts of member law libraries among themselves and with other institutions, organizations, publishers, and vendors. The Association supports and encourages member libraries to adopt best practices in preserving their collections through proper care, storage, handling, and conservation. The Association also supports member libraries’ collaborative initiatives to preserve and share print resources that will become increasingly scarce as materials deteriorate and member libraries deaccession print. In addition, member libraries are encouraged to participate in digital preservation initiatives, such as Lots of Copies Keeps Stuff Safe (LOCKSS). The Association also will communicate with groups offering preservation services to law libraries and encourage them to expand and tailor those services to better meet the needs of law libraries. An important aspect of this support is the Association’s responsibility to educate members about all aspects of preservation. This education takes the form of newsletter or journal articles and columns, educational programs, and informal roundtable discussions. The Association will continue to encourage the development of educational programs, institutes, and workshops related to all aspects of preservation. Annual Meeting program chairs are encouraged to accept at least one preservation-related program each year. The preservation of legal materials in all formats, especially primary legal materials, is a national priority. AALL supports continued funding for the preservation programs of the National Endowment for the Humanities. 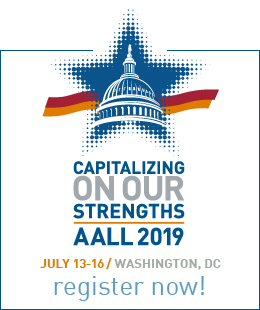 AALL also will work to encourage increased funding for preservation activities of the National Historical Publications and Records Commission, the Library of Congress, and the Institute of Museum and Library Services. Permanent public access to government information, legal records, and history, especially primary source legal documents, is essential to society. The Association will raise public awareness for this issue by providing outreach and information to concerned individuals, organizations, and government bodies and will support member libraries in their efforts to do the same. The Association also supports the work of other organizations, including the American Library Association, working towards the same goal.